This marks one of the only few documentary films from India to see its way to the Netflix platform. A riveting documentary, the film is one of India’s first ever Hybrid documentaries that brings to light a rarely seen perspective of academic excellence- pressure and isolation. The film has already bagged top honors at numerous film festivals word wide including the coveted Special Jury award at the EBS documentary festival and official selections at IDFA, HotDocs and MIFF among numerous others. Storyteller Ink. has been a collective formed of Abhay Kumar, Archana Phadke and Shane Mendonsa. 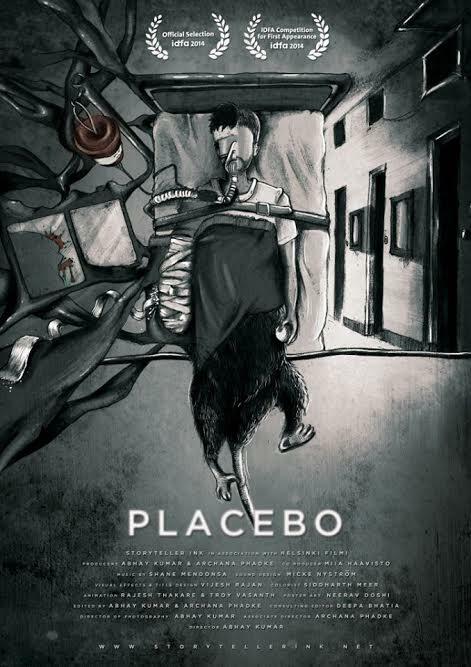 Their collaborative, personal approach towards filmmaking has been slowly creating its niche following amongst film buffs all over the world, and the release of ‘Placebo’ marks the triumph of a five year collaboration on the project. FilmKaravan is a consolidated distribution, marketing and delivery service house , bringing premium South Asian content to the world of digital. The company exclusively represents over 40 studios including Yash Raj Films, Dharma Productions, Excel Entertainment, Vishesh Films, Sony Entertainment Television, Viacom Motion Pictures and also some of the strongest voices in independent cinema. With a catalogue of over 1000 titles, FilmKaravan packages and delivers content to all major platforms including Netflix, Amazon, Google Play and 22 others across the globe. Whether it is a studio giant or a guerilla filmmaker, FilmKaravan believes in going the distance and customizing the digital release of every type of content that passes through its pipeline.